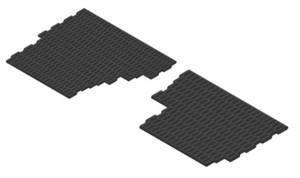 Heavy Duty Link type floor mats. Correct 'round nose' die cut links. Grooved outer links to protect bodywork from wire. All components and mats manufactured in the United Kingdom.